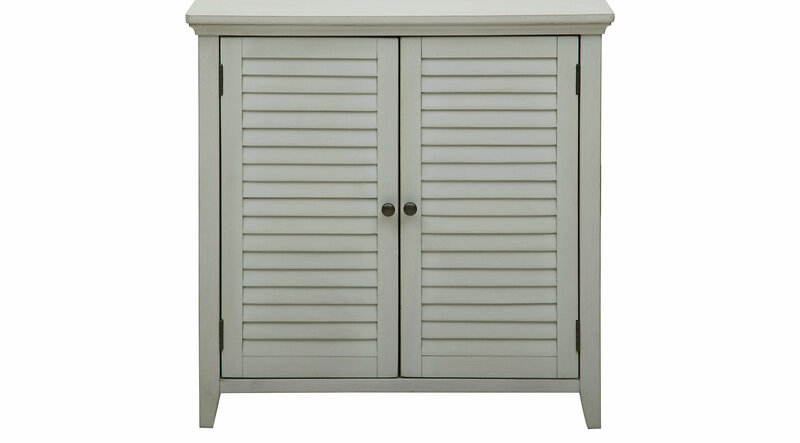 The cool gray finish and louvered doors make this accent cabinet perfect for a host of decors, from cottage, beach, shabby-chic, traditional, and more. The cabinet's two doors open to reveal a finished interior and an adjustable shelf, giving you plenty of storage space for extra towels, beauty products and other necessities. It's versatile enough to offer additional storage all over the house!